My Week ~ The Robert Altman & Macy's Show! "Come the end of this month, almost every window of Macy's Herald Square mother ship in New York will be filled with photographs by San Francisco photographer Robert Altman. The windows, a tribute to the Summer of Love, will include 175 Altman photos (from his book "The Sixties") as well as fashion. The New York-born photographer, who will be there for a signing and reception May 26, quotes Macy's stats on potential visitors to this sidewalk exhibition: 4,000 an hour." Please join us Tuesday May 26th at 5 PM for the book signing and at 6 - 7 PM for the reception. 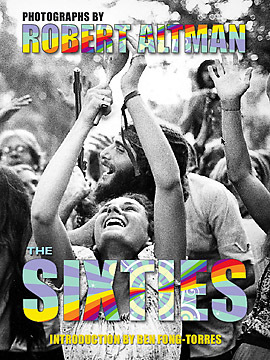 New York, NY – May 1, 2009 – The hippie revolution and the “Summer of Love” will be revived in a groovy, Art Under Glass, retrospective featuring American photographer Robert Altman’s work from his latest book, The Sixties. As a leading photojournalist in the 1960s and 70s, Robert captured the spirit of the hippie counterculture movement, showcasing its effect on politics, music, fashion, and most of all, personal freedoms. 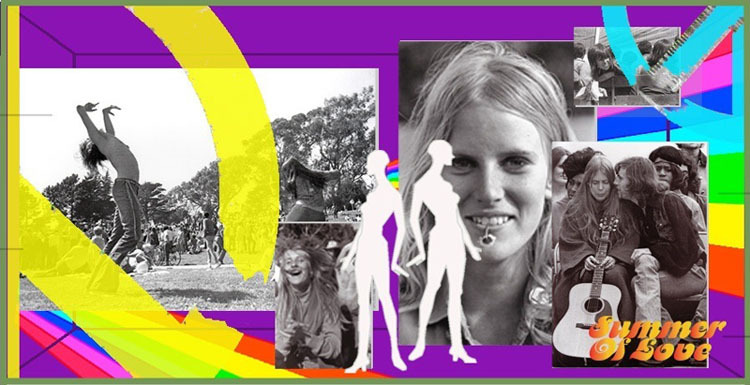 The “Summer of Love” retrospective will be on display in the world-famous Macy’s Herald Square windows on Broadway and 34th Street from May 25th through June 8th 2009 as part of the annual Art Under Glass exhibition. Recognizing the importance past trends have on the future, Macy’s is celebrating the fusion of fashion and culture this summer with a “sidewalk” art gallery! Inspired by the hippie aesthetic of the late 1960s and early 1970s, Macy’s Herald Square is resurrecting the free spirited style with a fresh spin on fashion and accessories. Curated by Robert Altman and conceptualized with Director of Windows for Macy’s Herald Square Paul Olszewski, and Macy’s Group Vice President & Fashion Director Nicole Fischelis, the Macy’s Herald Square windows showcase both Macy’s fashion and 175 pieces of work, while maintaining the truthfulness each piece of art depicts. Highly praised American photographer Robert Altman attended Hunter College at the City University of New York, studied under Ansel Adams and was best known as the leading photojournalist for Rolling Stone magazine. Following his early successes with Rolling Stone, he expanded into the realm of fashion photography and fine art. Many of the photos featured in his collection were taken between 1967-1974. Macy's, the largest retail brand of Macy’s, Inc., delivers fashion and affordable luxury to customers at more than 800 locations in 45 states, the District of Columbia, Puerto Rico and Guam. Offering distinctive assortments including exclusive fashion and home brands, Macy’s stores are operated by four regionally based retail divisions – Macy’s East, Macy's Florida, Macy's South, and Macy's West – and an online store at macys.com.